Joost Meijerink studies at Hanze Hogeschool. I decided to undertake a Work the World placement with my girlfriend, Sophie, as we wanted a new opportunity we couldn’t get in the Netherlands! 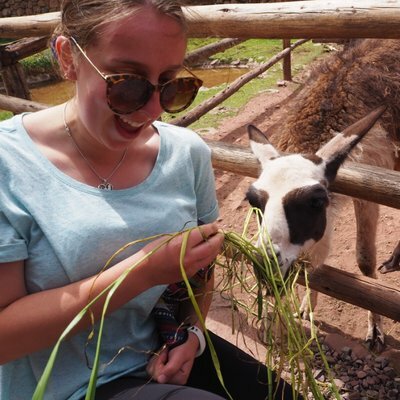 We knew we wanted to go to Asia, and there weren’t many destinations on offer from my university, so we decided to check out other options and came across Work the World. 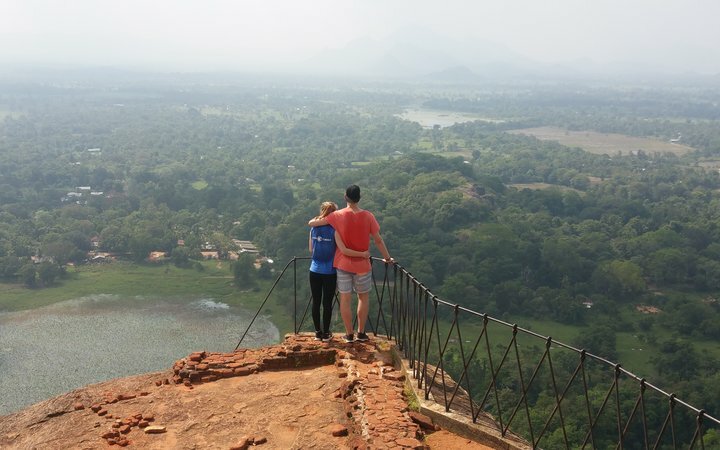 After a discussion with a friendly Elective Consultant about possible trips, we learnt about Sri Lanka and fell in love it was decided! We knew Work the World was the best way to get an internship. It was great to have a company who made sure we had everything in place, so we didn’t have to organise it all ourselves. We felt really well prepared before leaving home. The journey from the Netherlands to Colombo went really well. When we arrived at airport, we put on the Work the World t-shirts that had been sent to us in the post, and Chathindri — a member of the Kandy team — picked us up and took us to the hotel we’d be staying in that night. 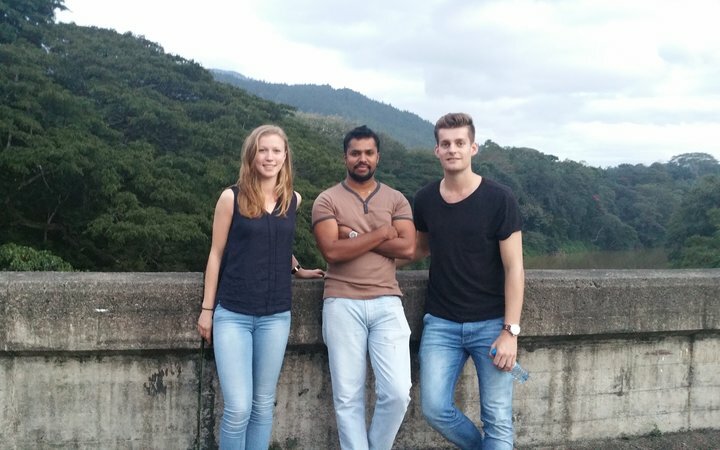 We had a good sleep for a few hours and waited for another student who arrived at the hotel – once everyone had arrived, we then took the trip to Kandy! When we first arrived at the Work the World house, we were excited but also very tired! It was very hot, and we’d just left winter in the Netherlands! We knew what to expect as we had seen some photos on MyTrip — the online dashboard tells you everything you need to know about your trip. The house was definitely comfortable: there was a main lounge room to chill in, and upstairs there’s a dining room with a balcony. There’s also another rooftop balcony — the perfect chill out spot. This is where we’d chat with our housemates about their placements and exchange points of view on our experiences in Kandy. There were people from loads of different disciplines. We met lots of Australians, a few students from New Zealand and others from the USA, and UK, as well as another Dutch student. 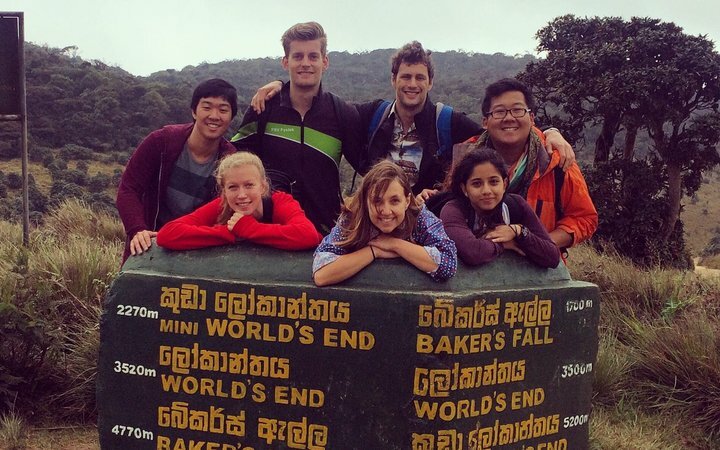 On our first full day in Kandy, we were taken on a great city orientation by the WtW staff. After this, a few students from the house took us back out to the city to show us the best place to get smoothies and milkshakes and we chatted about what we could do on the weekends. They made us feel at home – they were so friendly and welcoming. The hospital experience was really different, so there was a lot to learn. The hospital was always very busy, with lots of patients waiting to be seen. We spent a lot of time in the Outpatient Department and saw lots of patients with standard complaints. As we were there for 10 weeks, we spent a lot of time in different departments. At the start of the week, we met supervisors. During the first week, we stayed in the Outpatient Department and spent some time deciding what it was we really wanted to see. It was fascinating how things are handled over there! In 20 minutes, they would treat 3 patients at the same time, with everyone on a machine that you might not see in Europe — infrared, tens or electrical all in small cubicles. In the mornings we were always busy. We tried to speak to patients with presentations that we were particularly interested in. We would talk to the physio dealing with that patient who spoke English, and they would explain to us what had happened. You learn to get by with info that’s given to you, as well as the Sinhalese that we learnt during the language lessons in the house. Each week we visited a new department: we went to the ICU, PICU, Oncology, and the Burns Unit. We truly saw everything there was for a Physio to see! I found every case pretty special over there. Even broken bones, common in any country, were fascinating. 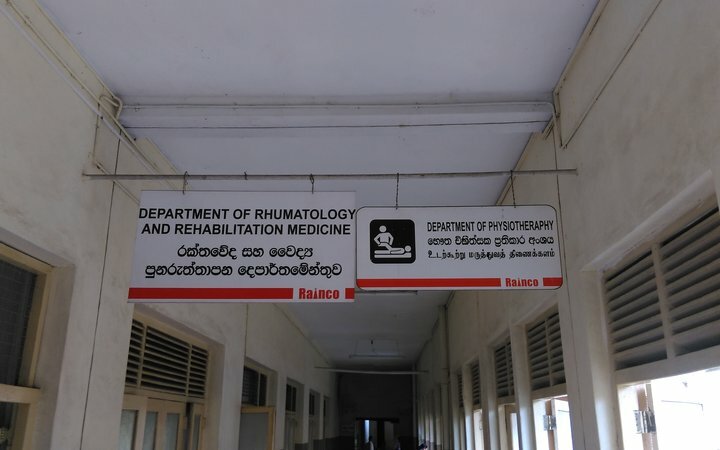 Sri Lankan physiotherapists would opt for external fixation (pins sticking outside of the bones) which you don’t often see in the Netherlands, where they are always internal with a screw or plate. The problems are often similar — people break their legs in the Netherlands, of course, but it always seemed more severe in Kandy. They would arrive with the broken bone, receive external fixation, the wound may then become infected and then need a skin transfer. One of our supervisors took us to the university where he studied Physiotherapy. It was amazing to see the differences between our worlds, and to learn all of this first hand was an amazing experience. After placement every Wednesday, we would come back to the Work the World house and have language lessons. We found it really useful to have some phrases to use around the hospital! We often went to the city, visited temples, grabbed something to drink, and go shopping at the city mall. We also loved to visit the swimming pools at the local hotels where we could relax and spent the rest of the day. Every weekend, we would hire a van and travel with the other Work the World students. We found that the best way to travel is with your own van with driver — public transport can be crowded on weekends. A few times we went by train or bus just to have the experience. We took one trip that was 6 - 7 hours by train through tea fields and mountains, it had beautiful views and we chatted with locals. We even bought fruit and shared it with other passengers, who in turn bought us some snacks from the food trolley on the train! The Work the World staff are great. Chathindri and Nandika, the Programme Manager and Assistant Programme Manager, looked after us so well. Our cook, Shen, was amazing. We ate some of the best food in the Work the World house, which was a great part of our experience. We enjoyed the weekly BBQs, too. Shen even cooked me soup when I was feeling unwell, and I’m sure it helped my speedy recovery. I would definitely recommend a Work the World placement. 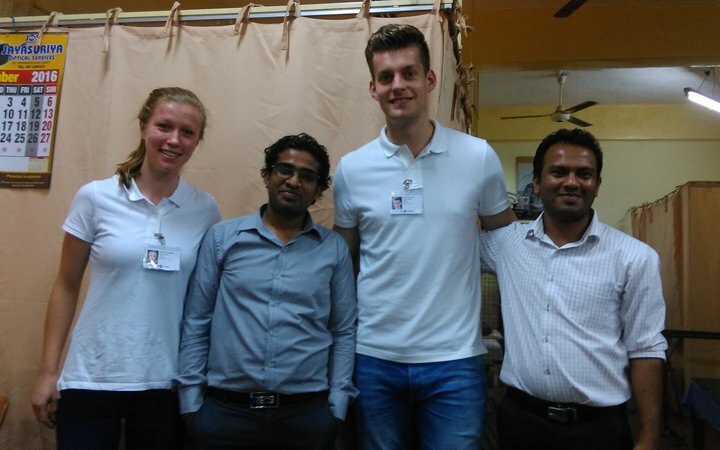 The placement was great, and I got such a broad impression of physiotherapy in Sri Lanka. It was incredibly useful to see a lot of different cases. We saw so much. 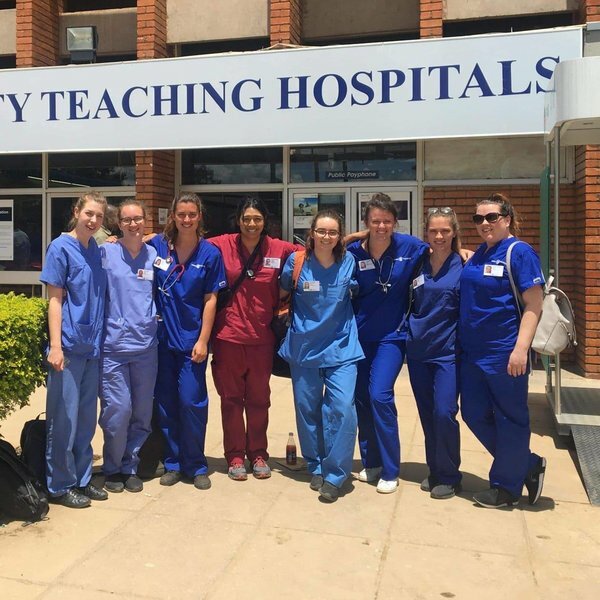 We felt it was really important to be confronted with things we might not see elsewhere, as it prepared us for a career as a Physiotherapist. 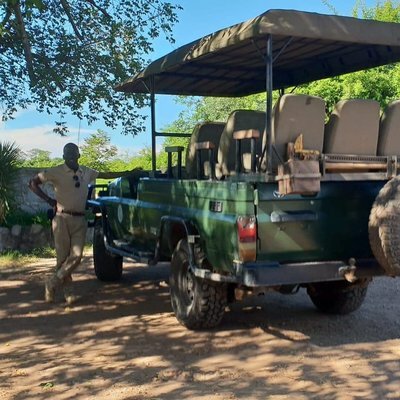 The whole experience was really impressive, and in every department, there was one case standing out – we definitely welcomed a rest on the weekend! Kandy is a great city with amazing and very kind people who want to teach you everything (if you show interest). Kandy is very central so you can travel pretty much anywhere in Sri Lanka in a day. 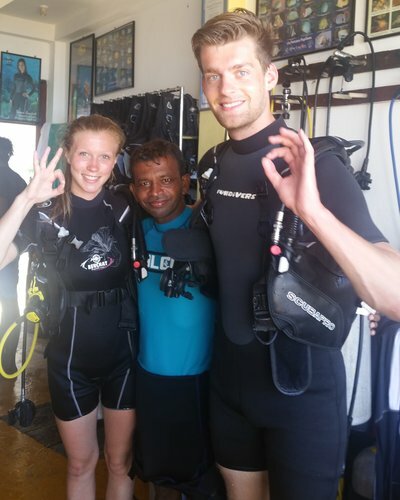 It is stunning country where you can see nature, temples, visit Jaffna for Hindu culture, the south for beaches to surf, go scuba diving and do anything you want! 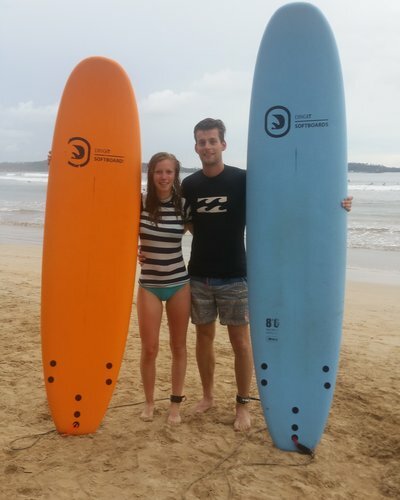 My favourite memory of my time in Sri Lanka was learning how to surf as the sun went down — it’s a beautiful country with beautiful people. This journey taught me so much more than just the contrasting physiotherapy I saw at the hospital. This was definitely my biggest adventure yet, and a decision I will never regret!